Splash your midsummer garden with cool blue color! This hardy perennial will stand out in your garden. 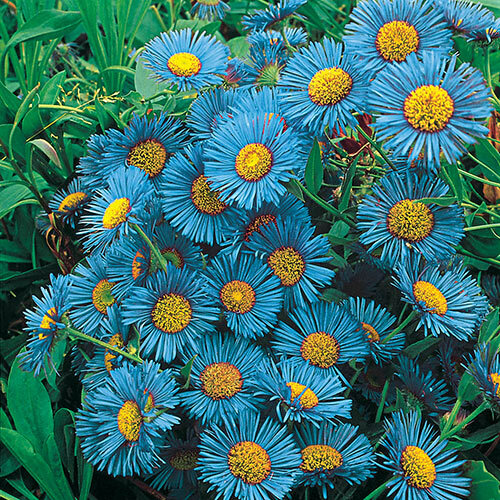 They have delicate, fine blue-purple petals whorled around golden centers. And, these daisies produce lots of flowers in midsummer! Foliage TypeThe basal leaves are lance-shaped to spoon-shaped and hairy. The stem leaves are lance-shaped to ovate. Flower FormDaisy-like with delicate fine petals whorled around a golden center. Soil RequirementsWell-drained, poor to moderately fertile soil. Sandy soil works well, also. Additional InformationPlants will form colonies. Divide when the rosettes begin to overlap. 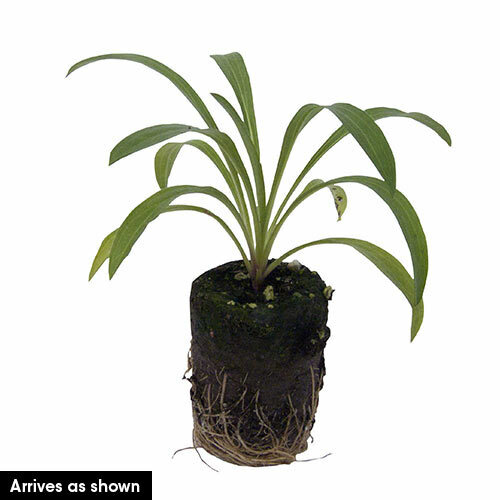 Planting InstructionsPlant at the same depth it is planted in the container.